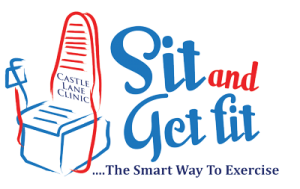 Introducing Sit and Get Fit! We are so excited to introduce a new section in our Castle Lane Clinic, Sit and Get Fit. The exciting new Sit and Get Fit gym is open to both patients and non patients. As you know, we feel very strongly about the need to encourage exercise as part of a healthy lifestyle, however we understand that many people have physical challenges that prevent them from exercising in the conventional way. Whether you face a physical disability or temporary pain due to an operation or childbirth, Sit and Get Fit offers an excellent opportunity to maintain your fitness levels. We have set up our own gym to enable those with challenges to recover quicker and to help and strengthen their muscles. Our Toning Chairs really are wonderful, you sit on them and let them do the work for you. In fact, everyone who has tried the program so far lost inches within 30 days! Learn more about Site and Get Fit here. 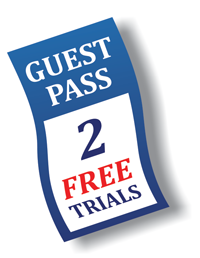 Give our Castle Lane Clinic a ring and mention this blog post to receive a free trial and guest pass!